The focal point of any holiday décor is the Christmas Tree. 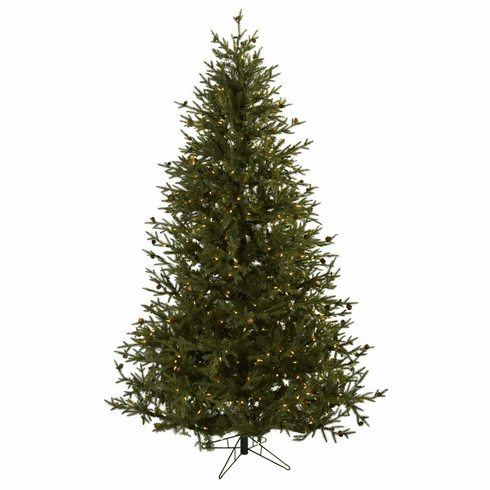 And this large (90" tall) classic pine artificial tree will proudly proclaim the holidays are indeed among us. With 1410 tip, 500 clear lights (that stay lit even if one burns out), a metal base, and the added touch of pretty pine cones, this tree is ready for a pile of presents to be stacked underneath (pile em' high, because this tree never needs water). Ideal for both home and offices. Height= 7.5 Ft. X Width= 60 In. X Depth= 60 In.